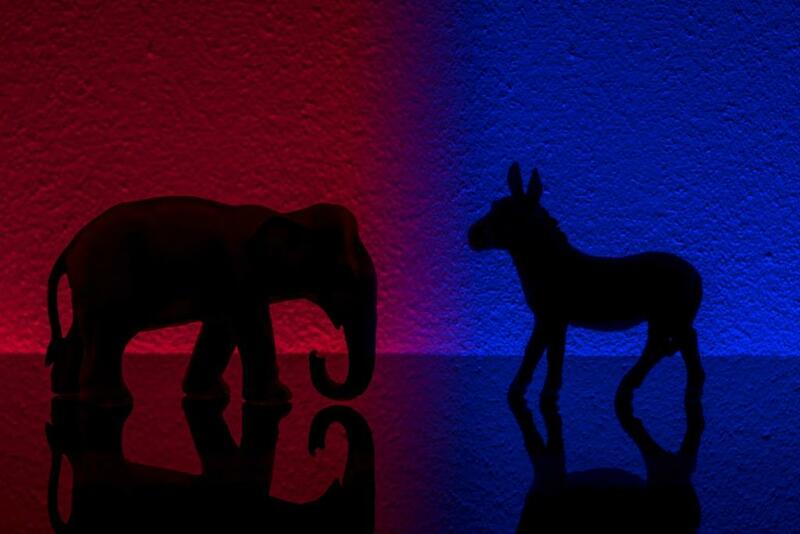 In the most contentious and consequential midterm elections in recent memory, the American people rendered a split decision. The Democrats flipped the House of Representatives, giving them the majority for the first time since 2010. On the other side of the Capitol, the Republicans increased their majority in the Senate. A few races are still too close to call, including the Montana and Arizona Senate contests. But the Republicans are slightly ahead in both red states. If the GOP candidates win, there would be an additional Senate seat from Montana and a retained GOP seat from Arizona. For months, we have been hearing about a “blue wave” that would sweep Democrats back into power – replicating the defeat Republicans inflicted on Democrats in 2010. However, instead of a wave it was more of a ripple – reflecting the historical trend that, since 1862, the party controlling the White House loses an average of 32 House seats during the midterm elections. The Democratic win in the House of Representatives gives Democrats subpoena power to open various investigations into Donald Trump and his administration, their rallying cry during the campaign season. It’s been suggested that various House committees under new Democratic leadership might investigate the administration’s family-separation policy and the 15,000 troops Trump ordered to the U.S. southern border to prevent the migrant caravan from Central America from entering the United States. The controversial addition of a citizenship question to the 2020 census. Will Pelosi Return as House Speaker? The big question is will the Democrats again select Nancy Pelosi as the next House Speaker or will they choose a more moderate speaker who represents the heartland of the nation and not just the blue coasts? The current House Democratic leadership has been in charge for a long time. Will they change the old guard or retain the same leaders they have had for years? That question will undoubtedly affect their public policy agenda. Many moderate Democrats who won in suburban districts will face this dilemma because they campaigned on selecting a new speaker if the Democrats regained the House. What Are the Democrats’ Public Policy Objectives? Many progressive Democrats ran on a platform of Medicare for all, raising taxes, a guaranteed federal job, raising the minimum wage to $15 an hour, free college education, eliminating student debt and a host of other free federal programs. However, will the Democrats try to pass this assortment of legislation while remaining vague on the financial costs? If they do, gridlock awaits. Will Democrats Work with Trump and Vice Versa? Will Democrats work with President Trump on the big issues facing the country? For the most part, Democrats have not focused on the incoming caravan of migrant refugees from Central America; they were almost eerily silent on the issue. It will also be interesting to see how the Democrats handle the federal budget. Constitutionally, all appropriation bills must originate in the House, but will House Democrats work with the President on crafting a budget, or will we return to the Obama era when the House and Senate could only pass continuing resolutions to keep the government open? The fallout from the 2018 midterm elections will carry over into the 2020 presidential election. That contest effectively begins today.